As any long time fan of Sons of Anarchy knows, the upcoming seventh season will be its last, per show creator Kurt Sutter. And it looks like filming has begun on the final season. 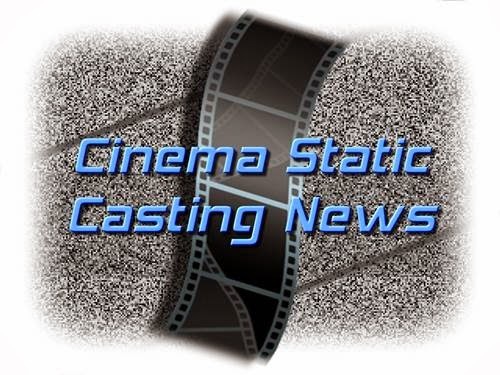 And with the start up of filming, other developments are starting to take place... like casting news! I saw a Variety piece reporting that Marilyn Manson has been tapped for a recurring role in season seven. Manson's character will be Ron Tully, a white supremacist who runs things from prison, and Jax starts working with him to expand his sphere of influence. Seriously? Jax is going that route? This can't be good. And for The Bridge fans, yes, she is still in the show and filming her work over there concurrently. That's crazy busy! The supposition is that with Tara dead, she'll be more "hands on" with taking care of Jax's kids, Abel and Thomas. Or at least Abel. I presume with Thomas. As you all know, as the season was winding down, Gemma was having a rough go at it and went nuts, killing Tara with a meat fork to the brain. On top of that, Juice ended up shooting Sheriff Roosevelt to protect Gemma from getting arrested. It was a crazy scene that Jax came across, finding Tara dead and the Sheriff, also dead in his kitchen. Plus, as Juice was ditching the murder weapons, we saw that pesky homeless girl ghost that we see each season. That's how things were left as season six closed and rumors suggest that Tara's death is going to take Jax (Charlie Hunnam) over that edge that he's been trying to avoid all these seasons. Sutter believes that we we'll be seeing, this new, dark Jax, could land Hunnam some Emmys. Or that Sutter is considering a prequel, possibly based on John Teller's manuscript. Wow... that would be prequel cool! We'll see about all that and then some!